Ed Note: This week’s Friday Footnotes is part of a submission to TrailRunnerMag.com’s Blog Symposium. All you need is a pair of shoes and a path to run down. Just you and the trail. It’s a beautiful concept. At it’s core, the act of running is that simple. But as much as we like to pretend otherwise, most of us aren’t just running for the sake of running. We’re pushing to go further, get stronger, and experience new challenges. We’re training for races and going on epic trail adventures. And that’s when running loses part of its simplicity. 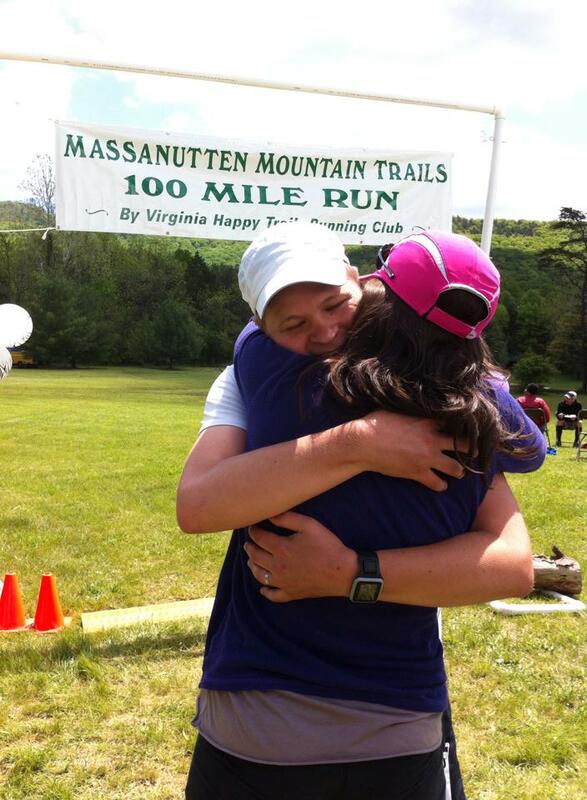 As I’ve experienced time and time again, most recently during last week’s Massanutten Mountain Trails 100, trail and ultrarunning requires a lot more than just a pair of shoes and a path. Most notably, in my opinion, is the support that’s required from your family and friends. Support not just on race day, but from the very conception of our adventures. It’s a given that all runners training for a big race end up spending a lot of time away from home, running their neighborhood roads or traveling to mountain trails. We spend hours at a time running, then require time for recovery and replenishment. A standard Saturday long-run, which are continuously repeated during a typical training plan, can dictate your entire weekend’s schedule. And in return, the schedule of your family, who end up having to pick up your slack. The required family support then continues on to race weekend, which often brings travel, time away from work, and if it’s an ultramarathon, extremely long hours out on the course. The MMT100 took me just over 32 hours. That’s 32 hours of my wife and crew running around the course with little sleep and constant rush and worry. Finally, the support must continue even after a race, as runners recover slowly and family is left to hear war stories repeatedly as you share them with friends. How many times can my wife listen to me talk about my stomach issues at mile 60 before she loses patience? So far so good. 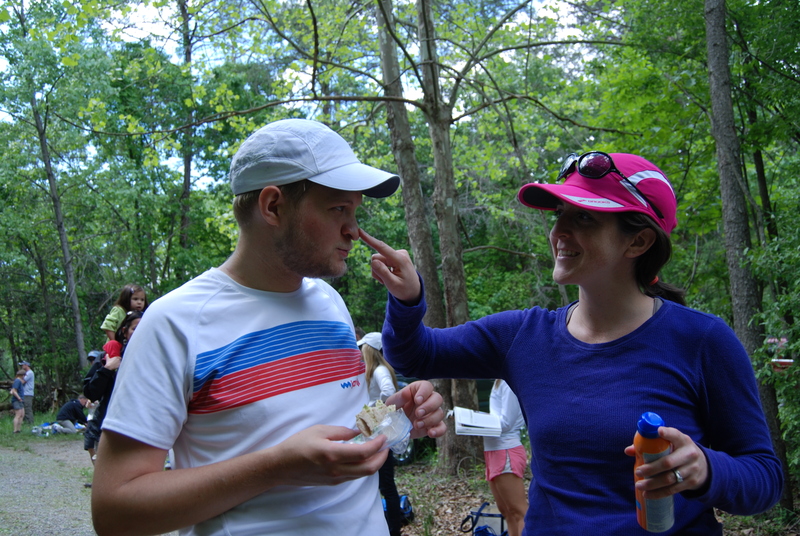 As part of this month’s Trail Runner Magazine’s Blog Symposium, they raised the question of if it is better to date and/or have a partner that’s a runner or non-runner. After reading the question, I was quick to respond: It doesn’t matter. It doesn’t matter if they run or not. Instead what matters is if they are willing to support you as a runner. I couldn’t have run my first 100 mile ultra last week without the support from my wife. She was the second half of my team, and just as instrumental to my success as myself. The sacrifices she made leading up to the race were almost as tough as the pain I inflicted on myself throughout training, and on race day she fed me, tended to my battered feet, and gave me the encouragement I needed to push forward. And now she’s helping me process and recover. All necessary tasks for my success. All from my teammate: a non-runner. It doesn’t matter in the slightest that she isn’t a runner, because she understands my passion and understands why I love what I’m doing. She doesn’t have to want it herself. So instead of asking if it’s better to date or have a partner that’s a runner or non-runner, what should be asked is if we can succeed as runners without the support of our partners. And to that question, my answer would be no. Which is why when you’ve got the perfect teammate, you stick with them. And thank them repeatedly with flowers and special date nights. Love this! Both my husband and I run and I like to do sprint tri’s (need to get more into it!) and I am always thankful for his constant support and encouragement. We are each others road crew and my water man/woman, always. Great post!